Walter Edward Weaver, 30, of Centereach, was a New York City police officer assigned to the elite Emergency Services Unit based in the Bronx. He was last seen on the 6th floor in the north tower, attempting to free passengers trapped in an elevator. He was posthumously awarded the Medal of Honor, the NYPD’s highest honor. His remains were never found. On the morning of 9/11, the Weaver family worried about son Brian Weaver, whose office was in the New York Stock Exchange near Ground Zero. They had no idea that his older brother, Walter, was on site. By the afternoon, when Walter Weaver hadn’t return calls left on his cellphone, his father, Bill Weaver, phoned the police department. There was so much confusion that the family could not confirm that Weaver was at the World Trade Center. At first, their father couldn’t bring himself to go to the site where his son had perished. At his sons’ urging, he finally did. Bill Weaver took the LIRR to Manhattan, then walked around the site’s perimeter, about five miles long. He did it again the next day, then the day after that. The daily pilgrimage continued for the next eight years until he died on Jan. 28, 2010, Brian Weaver said. Walter E. Weaver, who was 30, grew up in the white house a few feet from the corner where family, friends and neighbors watched a stretch of Gull Road become a memorial. 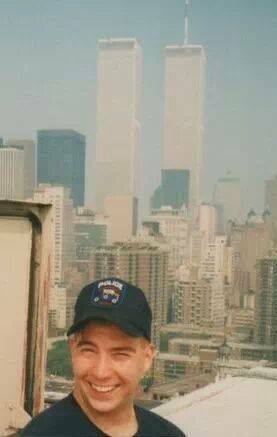 The officer from Emergency Service Unit Truck 3 in the Bronx, was killed Sept. 11, 2001, at the World Trade Center. He was trying to free passengers from an elevator when the south tower collapsed. Friends and family said Weaver was an enthusiastic outdoorsman who loved animals. 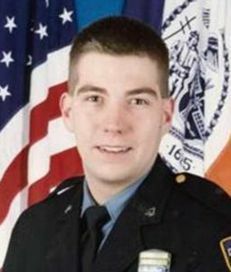 He joined the New York City Police Department’s 47th Precinct in 1992, and later transferred to the Emergency Service Unit. There, Weaver distinguished himself with remarkable rescues, including one at a New York City pet store in which he coaxed a crazed rooster into sleepy submission by folding its head beneath its wing and rolling it into a circle. It was Weaver’s father, William, and his brother, Brian, who asked the Town of Oyster Bay to rename the street. Weaver is survived by another brother, Michael, and his mother, Joan. “To everyone here today, I want to say, thank you, especially to Truck 3. I didn’t lose a son. … I gained 32,” said William Weaver, who emigrated from Scotland as a young man and wore a blue NYPD cap, a shirt with his son’s picture and a Scottish kilt. Those who worked with “Wally” recalled his sense of humor and dedication to the job. “It’s good to see Wally remembered like this and not forgotten,” Det. Edward Lutz said. God Bless all those that lost their lives and lost their loved ones on this day Sept, 11, 2001.